Ensure that a value entered in Form B has been previously submitted (or generated) on Form A. This is useful if you're generating a reference number of some sort on Form A and would like the user to enter it on Form B.
February 7, 2017: Fixed issue where submitting the form before AJAX validation had completed resulted in a failure to capture the target field's value. February 6, 2017: Fixed two issues with validation; validation did not work correctly on submission; AJAX validation was not validating against the correct source field ID. February 5, 2017: Added support for AJAX validation; value is validated as soon as the user exits the input. August 29, 2016: Updated article with documentation for "field_map" parameter. May 14, 2015: Updated does_value_exist() method to only query active entries. * on Form B and would like the user to enter it on Form A.
Let’s say a reference number is generated on Form A (using something like GP Unique ID) for the user’s order (represented by a Gravity Form entry). The reference number is emailed to the user. On Form B, the user is able to contact you about their order by entering the reference number. If they fail to enter a valid reference number, a validation error is returned and they are unable to submit the form. The form will generate this error unless a valid reference number is entered. 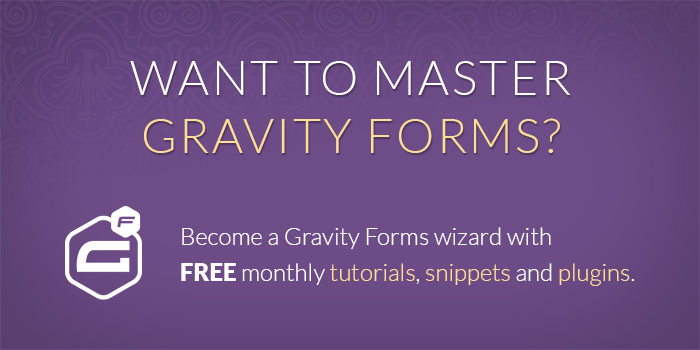 Looking for an simple way to generate a reference number for your Gravity Form submissions? GP Unique ID for Gravity Forms can help. Check out this step-by-step tutorial on how to use GP Unique ID to generate a reference number for your Gravity Form submissions and use this snippet to validate those reference numbers on subsequent submissions. The target form ID and field ID represent the form and field that should be validated and show the validation error when validation fails. The source form ID and field ID represent the form and field that store the existing value that the value submitted in the target form and field should be checked against. The validation message can be updated to any message you would like to indicate that the entered value did not match any existing values in the source form and field. This is the Form ID for the field that you will checking if a value already exists (Form B in the example above). There is no default value. This is the Field ID for the field that you will checking if a value already exists (Form B in the example above). There is no default value. This is the Form ID for the field that generated the reference number (Form A in the example above). There is no default value. This is the Field ID for the field that generated the reference number (Form A in the example above). There is no default value. This is the error message that will be displayed if the value being tested does not already exist. Defaults to "Hey! This isn't a valid reference number." Optionally disable AJAX validation. AJAX validation is enabled by default and will add a checkmark or an x-mark depending on whether the value exists. This snippet is more of a building block rather than a final solution. Let us know how you’re using it and any questions you have about building on top of it to accomplish a more involved solution. For an example of how this can be combined with other plugins to create a more robust solution, check out the How to Generate and Validate a Reference Number for Gravity Forms with GP Unique ID tutorial. Hi, Thanks for your previous reply. Is it possible to have multiple instances of this snippet e.g. for two separate forms? Can you explain how? Thanks! 1) Same question as Adesola 2) Can I validate against the “Entry ID” field? how do I get the ID of that field? Thanks! Hello david, how do I bulk generate unique membership Ids for users that had already submitted entries before the unique ID field was added to the form? Hi David, I found your script and I wonder if it can be a base for a solution from my task. I tried to customize the script, but it does not work. Is there a chance to help me? If a user creates an entry to be searched if the same number already exists in another entry. If the number already exists the username of the first user should be entered in field 3. The reason is the following: it is allowed to use identical numbers multiple times. but the users should be shown, which user has already used these identical numbers. Hi, Thank you for your great effort. I tried to use it and it did work however when i try to use the field_map, it doesn’t stick to the pointed source_field_id only but it also accepts any entries from other fields ids if the entered value matches. My example below: the field id 12 – form 18 should only validated through field id 5 – form id 17 and the field id 6 – form 18 should only validated through field id 3 – form id 17 but what happens is that if the entered value in field 12 matches an entry value at field id 3 it marks it as valid and continue and same for field id 6 and source field id 5.